When I received an email way back then from Kidspot stating I was a nominee for their country wide blogging competition the Voices of 2014 I couldn’t really comprehend the email – my baby blog of only a few months old had been recognised amongst some of the best blogging royalty in Australia. And don’t even ask me how I felt when I found out I’d made the top 40 of the Beauty and Lifestyle category. The competition has been so amazing and although I did not make the top five for the category I have been given some fantastic opportunities with sponsors Ford Australia and Garnier for mini competitions within the overall competition. Which leads me to this – I booked my ticket to Melbourne for the closing gala of the competition at the end of November. I didn’t think I’d be able to afford the trip due to many other commitments in my life, but somehow this shop-a-holic managed and I’ll be heading over to Melbourne for the final hurrah at the end of next month. I’m too excited to finally meet the beautiful people I’ve met online via this journey and I’m so ready to let my hair down after what has been a busy but brilliant year. Besides the Melbourne holiday, this is what else has been happening in the last fortnight of my life. 1. Trying gorgeous new places to eat with my gang in the city – this pretty wall can be found in the city at Greehouse. 2. More Frocktober fun! Not long to go my friends. Learn how you can donate here. 3. Lovely nights out with my ladies D and V at MANY6160. 4. The fabulous “Blogger Nite” at V Burger Bar – drool worthy pictures here. 5. E celebrated her birthday alongside her ‘birthday buddy’ and beautiful friend C.
6. The final feast with V before her big move to Sydney – blog post featuring Harvest Espresso’s new menu coming soon. 7. Work fun with my lovely friend K (and photographer) haha. 8. 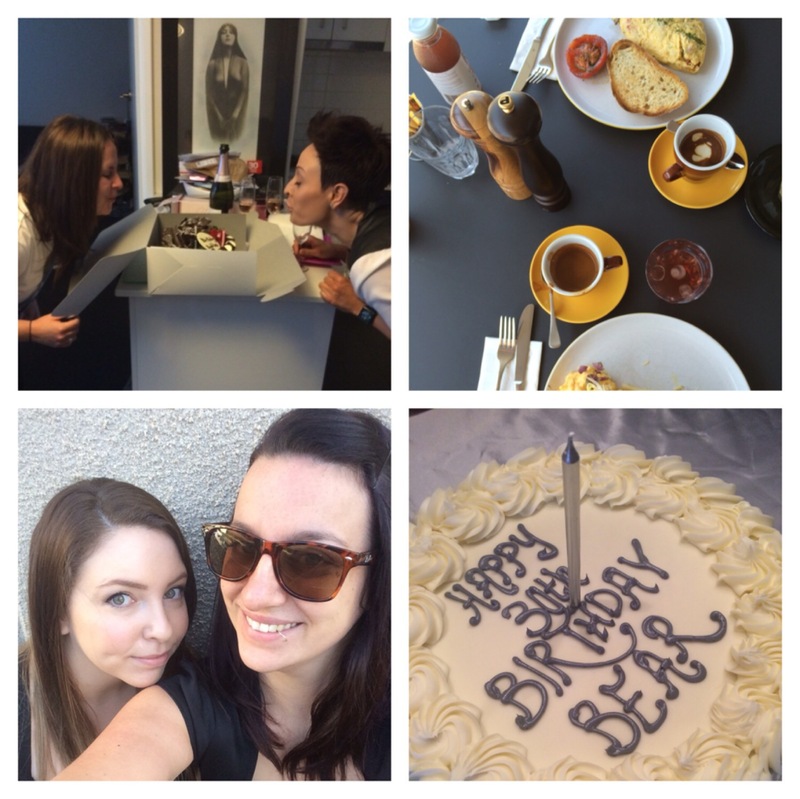 E’s sister S also celebrated her birthday – so much cake this fortnight! 9. Spring has truly arrived. 10. Spending time with my lovely friend G.
11. PUBLISHED. Seeing my (blog) name in print for Taste.com.au Magazine and Inside Out Magazine was seriously amazing! 12. This is my new Jubly-Umph colouring book. Be jealous. Or get your own here! READING: InsideOut and Taste.com.au magazine, hehehe. 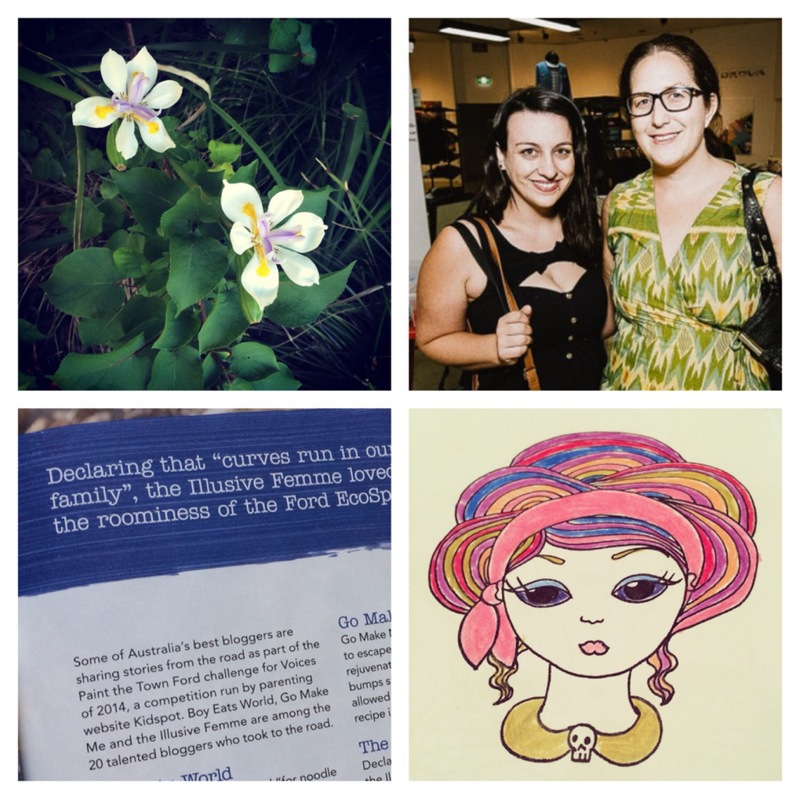 WEARING: Frocks, all month for Frocktober! 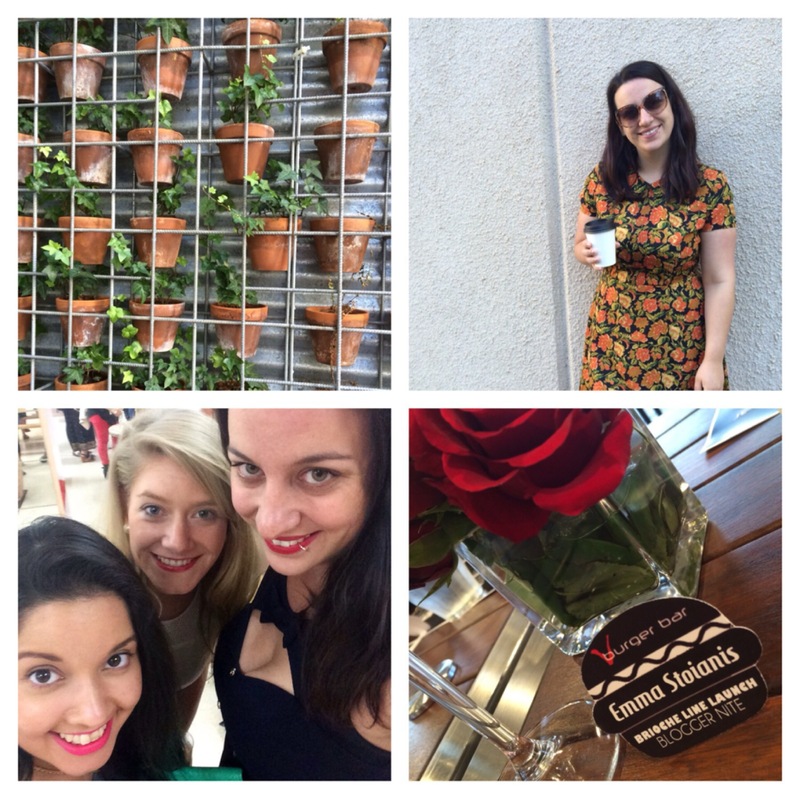 LOVING: My upcoming Melbourne trip! HATING: My upcoming wisdom teeth removal. I like to read your blog – and so thrilling you can get to Melbourne for the wind up of Voices 2014. How exciting you are going to the kidspot event! I would love to make one one day, but it involves two plane trips so it’s a bit of an expense. I love your blog and your instagram, they are both very cool!